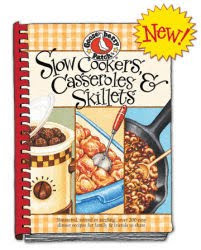 Here are a few handy dandy tips from the Gooseberry Patch Slow Cookers, Skillets, and Casseroles Cookbook. Are you preparing a recipe that calls for thin strips of chicken or beef? Pop it in the freezer for 10 to 15 minutes, until slightly frozen...it will slice in a jiffy.